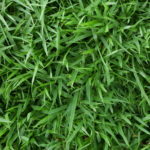 This grass grows best during summer months when the temperatures are between 80 and 95 degrees. During winter months, it goes dormant and turns brown. Once established it’s quite hardy, turning a vigorous green in summer and regenerating quickly in spring. The grass can establish and grow in full sun to partial shade. This yellow-green grass is well-adapted to infertile soils. It can be used in areas where a lack of drainage or shade could present a problem. Maintenance requirements are low, but it’s highly-susceptible to insect damage. A cool-season grass that grows best during 60 to 75-degree temperatures. It’s easily stressed during hot summer months. This grass requires more water to stay healthy than most varieties. Unlike most grasses, Fescue stays green during the winter. It’s also easy to establish in yards, which makes it popular. 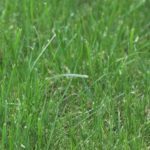 Fescue grows best in fertile, well-drained soils but can handle a wide range. Keep an eye out for seasonal issues such as brown patch fungus. 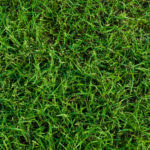 Bermuda grass is a vigorous light-to-dark-green, dense turf grass that’s well-adapted to most soils and climates. It’ll usually turn brown in winter, but it can be overseeded with Rye grass to keep a green look all year. Bermuda grass has excellent wear and drought tolerance. 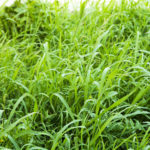 Unfortunately, Bermuda grass can have problems with pests and diseases. It has a rapid growth pattern. During high-growth season you should mow it twice a week with a reel mower. This will produce the highest-quality turf cut and minimize thatch build up. Bermuda grass needs high nitrogen in summer to reduce chances of dollar spots. If you’d like to work with Gregory Pest Solutions to make sure your greenery gets the best care possible, contact us today. We’ll develop a custom lawn care plan to keep it looking and feeling its best.